Want to get your website visible and indexed on the major search engines? Then make sure you give your keywords plenty of TLC and attention. While the whole SEO/keyword thing can be a pretty complex and costly business (ever wondered why those SEO companies are always ringing/offering you great deals to get you on page 1 of Google?) it doesn’t always have to be. Let me introduce you to long-tail keywords. A long-tail keyword is when you string together, say, three to five keywords to create a longer phrase which is relevant to your niche, products and/or services. If you’re a divorce lawyer, for example, you wouldn’t just focus on the word ‘divorce’ and place it strategically on relevant pages (although that is a good start). You would think about using such phrases as, ‘should I get divorced?’ or ‘is it time for divorce?’ or ‘finding support through divorce’ or ‘where to start with divorce proceedings’. Can you see the difference? Your visitors have a precise need (long-tail keywords), not just a general need (keywords), and this makes all the difference. If you don’t already have a list of keywords your potential website visitor might use, then start there. Use an online thesaurus to look for alternative words which mean the same thing: http://www.thesaurus.com Or use an online keyword planner such as this one: https://adwords.google.com/home/tools/keyword-planner/. Now you’ve got your list of high quality keywords, you need to look at them through your potential customers’ eyes. Remember, you’re not just trying to attract the search engines and get on those first few pages – you’re also trying to appeal to your audience and help them find you easily. 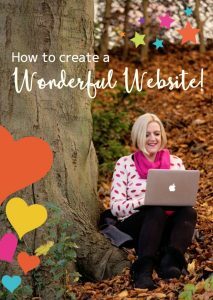 They wouldn’t just put in ‘web designer’ if they were looking for a local web designer or a specific web designer who specialised in WordPress or a web designer who offered a budget package. They would more than likely put a phrase, relevant to their specific needs, into the search engines. Making good use of your long-tail keywords and getting the results you need doesn’t have to be difficult. Avoid keyword stuffing (ie, creating a whole lot of gobbledygook sentences that are stuffed with keywords to try and boost your search engine rankings). Create highly targeted pages (remember, it’s not just about your home page) throughout your site. Write good quality articles and blogs which include your long-tails. Add an FAQ section to your website. Even if you’re in a very competitive niche, please don’t just gloss over the importance of long-tail keywords. They can still make a difference to how quickly, easily and freely you can climb that Google ladder and see those Google spiders falling in love with you. One final note, however. Please don’t expect results overnight. These things do take time. But with consistent attention and a good long-tail keyword strategy in place, you can get the results you need. If you have any comments or questions about long-tail keywords, then please do get in touch. I love hearing from you and am always happy to help.